With gasoline price rising, so is interest in hydrogen as an alternative fuel. 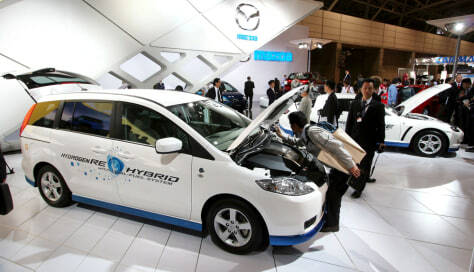 Mazda Motor last week showed off concept cars with an engine that can switch between the two fuels. But some experts say it will be decades before drivers will be able to pull up at a hydrogen pump.